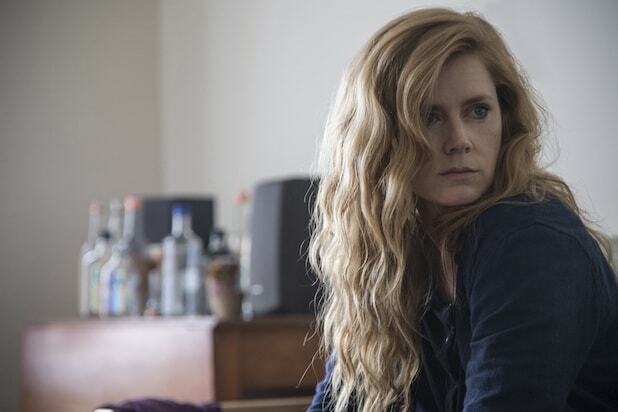 Showrunner Marti Noxon knew that many viewers of HBO’s limited series “Sharp Objects” wouldn’t be prepared for the reveal about protagonist Camille Preaker (Amy Adams) at the end of the premiere episode, but she wanted to give her audience the same “aha moment” from Gillian Flynn’s novel as soon as possible. The moment we’re talking about comes at the very end of the premiere, titled “Vanish” — a word we see etched onto Camille’s skin, along with several other words scarring her entire body. 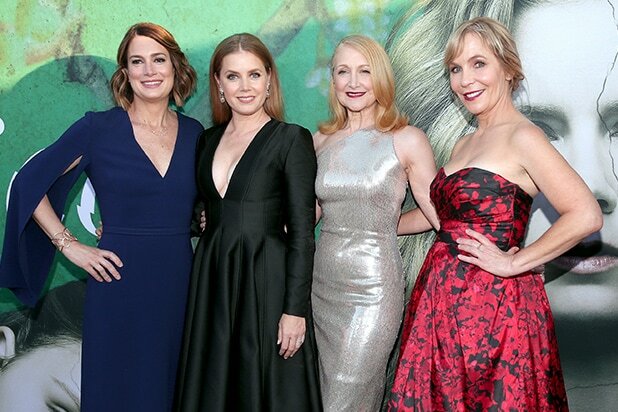 Noxon said that was the moment the reader “really get[s] the story of what these ‘sharp objects’ have done to her,” and so she knew she wanted to replicate it on screen. It was important to Noxon that viewers get to know Camille as she is now before her past as a cutter was revealed. “You want to know her before you know this thing about her that makes her so vulnerable. You want to know that she’s tough, and she’s smart, and she’s funny, and, you know, she’s… considered a valuable human in her regular life,” Noxon continued, pointing out that she is particularly interested in “how we judge people for the way they look.” Several of Noxon’s other projects — like AMC’s “Dietland” and Netflix’s “To the Bone” also deal with that theme, in the form of obesity and anorexia, respectively. Flynn’s debut novel was published in 2006, long before “trigger warnings” became commonplace and more social responsibility was placed on media and entertainment outlets to respect the possibility that their content could affect viewers in a negative way, psychologically speaking. And while Noxon is no stranger to dealing with trauma on screen, cutting is still an incredibly taboo topic. So, yes, she told TheWrap she was sensitive to how viewers would be affected by Camille’s self harm and took care to not be “exploitative” when showing the damage on screen. Noxon added that, it “helps a lot that Camille is in recovery,” in terms of cutting, at least. “Sharp Objects” airs Sundays at 9/8c on HBO.